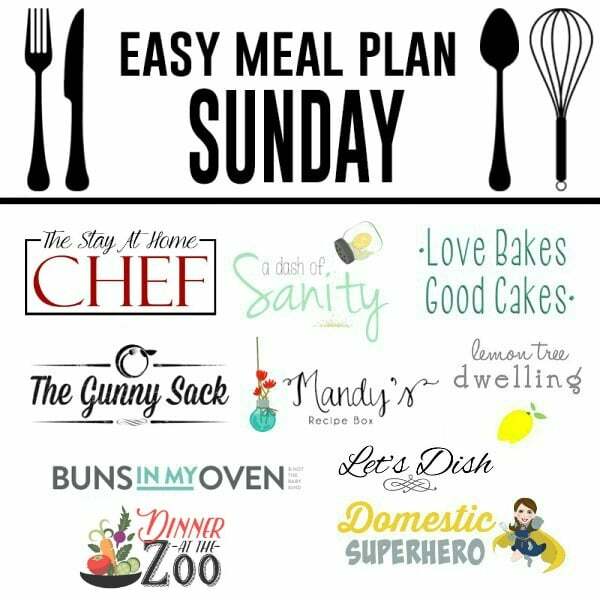 The BEST weekly meal plan, filled with mouthwatering recipes from all your favorite bloggers!! Happy weekend, friends! How is yours going? Ours has been wonderful – lots of family time, a trip to Chicago to visit friends, and we finally got our garden planted! Woo hoo! Jorden took Friday off to celebrate the girls’ first day of summer break, and to be honest, I haven’t cooked in days! I wouldn’t mind one more “day off”, but then it’s clearly time to get back in the swing of things. 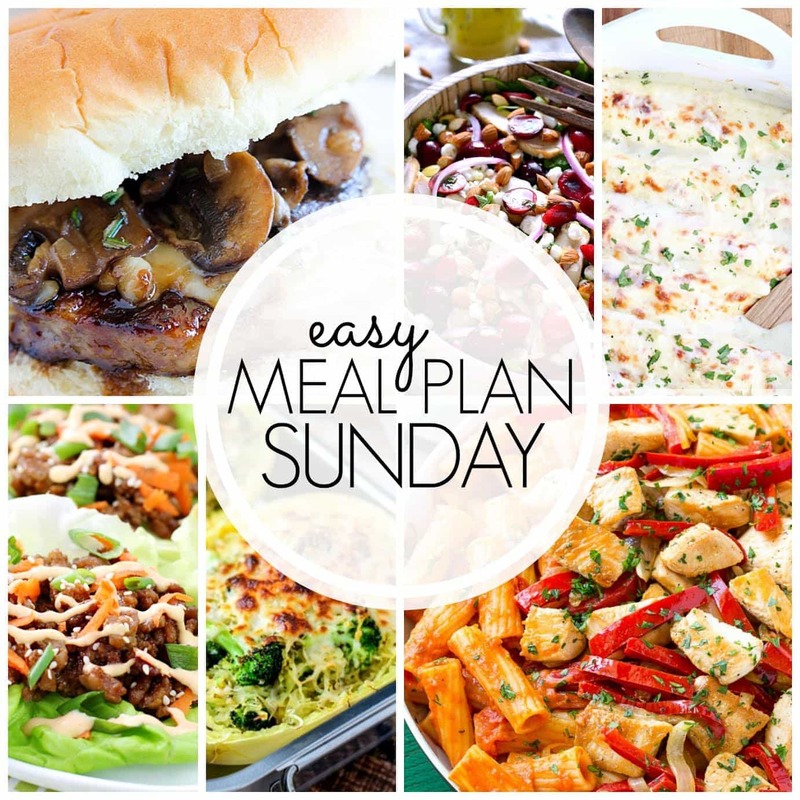 I’m so excited about this week’s meal plan because everything looks especially amazing! I hope you agree! Ohhh I love that you vary between chicken, vegetarian and beef! Sounds like a great meal plan. I have my eye on those white enchiladas! What a great meal plan! I especially love the sausage burgers! Thanks for planning my week of meals Cathy!! All these selections are calling my name but the cherry almond salad is the one I’d start with.